I AM POSTING THESE ARTICLES ABOUT MISTER MICKENS AT HIS RETIREMENT - MANY OF THE PEOPLE WHO COME TO THIS SITE, DON'T LIVE IN BROOKLYN AND DON'T KNOW MISTER MICKENS -- TRUST ME, YOU HAVE MISSED A RARE GEM --THE HIGHEST TRIBUTE I CAN RELATE TO YOU ABOUT FRANK IS THIS - HE HAS ENEMIES AND HIS ENEMIES ADMIRE HIM. When Frank Mickens took over back in 1984, Boys and Girls HS in Bedford-Stuyvesant was one of the most violent, worst-performing schools in New York City. Maybe even the country. But the new principal turned Boys and Girls around with a combination of strict discipline, intolerance for lazy teachers and sheer force of will. The school is now safe and — academically — one of the best of the city's oft-troubled "zoned" high schools. Mickens' methods were unorthodox, but effective. When he wanted to get more parents to show up for parent-teacher conferences, he sent them what looked like legal summonses in the mail. Some parents were offended, but more took it in stride — and showed up. Mickens placed a special emphasis on order and safety. His school, unique among zoned high schools in the city's toughest areas, has no metal detectors. That's because Mickens, despite city regulations to the contrary, did everything he could to keep potentially violent kids out of his school in the first place. He even set up a "perimeter patrol," made up of about 18 school staffers, to make sure kids got to school safely in the morning and home safely at night. Mickens understands that learning can't happen when students are plagued by constant concern for their safety. And he understands that it really matters who is teaching kids when they sit down to learn. Every summer, Mickens would go down to the city's central hiring hall, combing lists for good teachers and rejecting teachers that the rule book said he had to accept. Ah, the rule book. It was not Frank Mickens' bible. Through sheer force of will — while protected by an astonishingly intricate web of informal political and community connections — Mickens managed to do the right thing by Boys and Girls, and the thousands of kids who passed through the building over the past two decades. He was never a favorite at Board of Education headquarters, or among most other principals. His steady successes were a stinging reminder of their consistent failure. Today, Frank Mickens retires. Whether his successor at Boys and Girls can perform to the standards Mickens established remains to be seen. But it's not likely. Whether his demeanor, and methods, would be workable citywide is also debatable. Certainly a system made up of all mavericks would be problematic. What New York City really needs is a school system where dedicated administrators can run their schools the way they see fit, without every day being a death struggle with the central bureaucracy and the teachers unions. The city's charter schools have the potential to become such a system, parallel to the old system. And there are already a few extraordinary schools and extraordinary principals showing how it's done. In the meantime, though, best of luck to Frank Mickens. His tenure has been an object lesson to New York — though it remains to be seen whether New York was paying attention. RPB, A FORMER PRINCIPAL HIMSELF, SENT ME THIS ARTICLE AND I AM IN THE SCARY POSITION OF PRAISING THE N.Y. POST FOR GETTING IT RIGHT IN AN AREA OUTSIDE THEIR SPORTS SECTION. MICKENS' BROKE THE RULES TO PROTECT HIS SCHOOL - THE SYSTEM COULD NOT RUN WITH EVERYONE IMITATING FRANK'S METHODS - BUT HIS GOAL WAS SO NOBLE, THAT THE COMMUNITY ALWAYS SAW HIS WILLINGNESS TO SACRIFICE HIS PERSONAL WELL BEING FOR THE WELFARE OF THEIR CHILDREN AND BACKED HIS OUTRAGEOUS POWER PLAYS AGAINST CENTRAL HEADQUARTERS AND AGAINST THE TEACHERS UNION - FRANK NEVER ABUSED THIS SUPPORT FOR PERSONAL GAIN AND THAT IS WHY I WROTE THAT EVEN HIS ENEMIES HAD TO ADMIRE HIS MOHAMMAD ALI LIKE DEDICATION TO HIS BELIEFS. I consider Frank Mickens to be one of the "ten best friends" I have ever had in my life. Frank and I were colleagues on the Boys High faculty in the early 70's, he having arrived at the school a year and a half before I did. He was a dean and a history teacher, under Dr. Wilson and I was in my first (of 33 years) as an English teacher. It was the beginning of the Board's attempt to institute Afro-American Literature into the school curriculum and Frank taught the school's black history classes, while I taught the High's first Afro-American Literature class. Frank used to say that we should refer to ourselves as "Doctors," because there were only a few colleges at the time who could even assist us with our course of study. We spent as much time researching as we did teaching. We used to car pool from Boys High 3 times a week to go to NYU to work on our Master's and the laughter we shared on those drives to the city has not been duplicated in my lifetime. A few years later, he was coaching the Varsity Basketball team and I was coachingthe Street Academy team, and some unknown little snotty-nosed kid was running Frank's Junior Varsity - George. Gaffney ( SAINT FRANCIS COLLEGE GRAD ) - "what ever happened to that guy ?" Few people realize that Frank was a great high school basketball player at Erasmus, in his hey day. 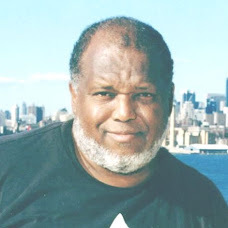 Anyway, After I got the Francis Lewis HIgh School coaching job (1981), Frank called me and we spent the next 9 summers doing both the NYC Big Apple Games ( Frank startedthe games with Ray Nash, ( SAINT FRANCIS COLLEGE GRAD ) long time BISHOP FORD H.S. COACH AND ATHLETIC DIRECTOR, before the city was involved in the project. We also were in on the ground floor of the Empire State Games project. Today, Frank is one of the handful of people who could call me up at 3 AM and say, I need you to be here in 15 minutes with a blank check - and I would not hesitate one second, before I got out of bed. That's the way I thought about him in 1971, and it is the way I feel about him today. Thank you so much for forwarding me the article on the great Frank Mickens. After reading the article I over-nighted a letter to Frank thanking him for his dedication to the development of young people. I met Frank as a bright eyed young man during the summer of '76. Sam Stern secured me a job at Dr. J's basketball camp in Connecticut. With cigar in tow and a plethora of stories, he made an immediate impact on me the minute he spoke. Anyone who knows Frank will understand the attention he demands when he speaks. Following that year, Frank was a regular at NYIT. Following my playing career he would come to NYIT to jog with Sam and Ron Ganulin, current head coach of St Francis College and former NYIT head coach. Although I did not run, I would sit with Frank, pre-jog and post-jog, and listen to him speak about events: past, present, local, national, international; the world according to Frank Mickens. During those periods with Frank I was able to obtain a realistic education regarding life. As a young Black man trying to make his way through the clouds of collegiate administration, he provided me with the strength to know that the only person to stop me from making it in this profession, would be me. I have not seen Frank in a while, but I have quite a few folks who live in the Boy & Girls school district, who love Frank and keep me informed on his educational and community accomplishments. I am proud that I had the opportunity to talk with and break bread with Frank Mickens. He is a good man and a tremendous leader.